Computer on Wheels: A mobile computer workstation can transform teaching and learning at your school. Since we introduced a COW or Computer on Wheels at our school, education has improved. It has transformed teaching practice and enhanced student learning. If you are looking for an inexpensive technology tool that your entire staff can use then a COW is a great investment. 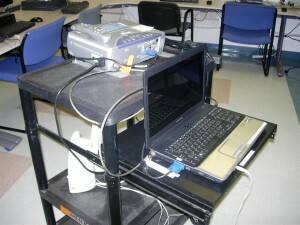 The mobile computer workstation has encouraged both teachers and students to approach teaching and learning in new ways. Teachers have altered their teaching practice to include the use of digital resources. In addition, students complete assignments with the purpose to share their work with the class digitally using the COW. Today, most students at the school would never consider giving a presentation to the class without technology because for them it has become an integral part of their learning experience. How do we Share the COW? The COW is something every teacher wants to use in their classroom. To share this resource there is a sign-up sheet in the computer lab. A teacher can sign the COW out for a class period or the entire day. Before their scheduled time, the teacher or a group of students must roll the COW from its sleeping quarters (locked in the computer room office) and wheel it into the classroom, gym, library, or music room. When finished the equipment is carefully returned so that it is ready for the next person to use. At our school, the COW is used EVERY day! In fact, our teachers used it so much that we had to get two COWs. Teachers, as well as students, know that having a COW is a privilege. For this reason, they need to show respect when using the equipment. When the COW is being rolled around care needs to be given to make sure the cart is not jostled or knocked. 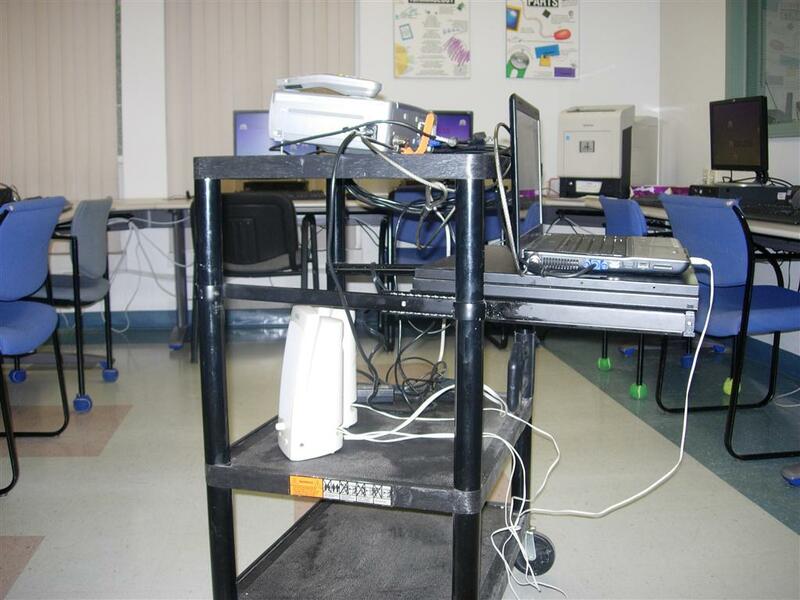 Typically, two students must push the cart with one at each end for stability. In addition, no liquids of any type are permitted around the equipment. With these basic rules in place we have had no issues keeping the equipment in good working order. What Rules do you Have for your COW? How is a COW shared at your school? What problems have you experienced? How did you solve any issues? Share your experiences!